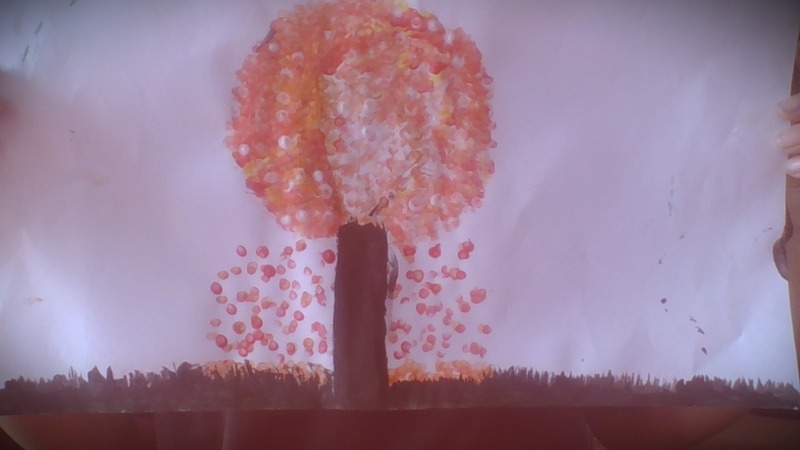 Technique - I took 5 earbuds and dipped them into the paint then started drawing my tree. Colour - I started mixing the colours to make the colours that I needed for my art. This was lots of fun. Success - I like was able to mix the colours and got the colour that I want. What I need to work on - I will need to be able to look at how I can paint a tree with branches, using the same technique. Silhouette in the rainbow art.